Avoiding An Audit: Understanding Your DIF Score | Erwin, Fountain, & Jackson P.A. Uh oh! What starts out as a normal day suddenly becomes dark and foreboding when you open your mailbox and receive a special invitation from your friends at the local IRS office. If you are like most of our clients, you will immediately call us in a panic at the prospect of having to bare your soul (or more importantly, your finances) to an IRS auditor. Why me, you ask? There may be several reasons your unlucky number came up, but the most likely reason is your DIF score. What is a DIF Score? The IRS uses a computer generated program that compares your return to others in your income bracket and compares the differences in deductions you are taking against the average in your group. This highly secretive program which produces the DIF (discriminate function) score is used to select returns that will generate the highest probability of additional audit revenue. The program takes into consideration your income, the size of your family, where you live and how your money is earned. Your DIF score is driven up by deviations from the norm. For example, if your total income is only $45,000 and you live in an exclusive residential area with four children, your return would have a higher probability of being audited. Furthermore, under the same circumstances, if you claimed $10,000 in charitable deductions, your DIF score would rise. Quite simply, the IRS program is looking for the likelihood that you are under-reporting income or over-reporting deductions. What should you do if you know your circumstances will throw your return into the “deviant” group? Nothing, so long as the income and deductions are legitimate and can be proven. Simply be aware that you may have to sit through an IRS audit and provide proof of your expenses and receipts. 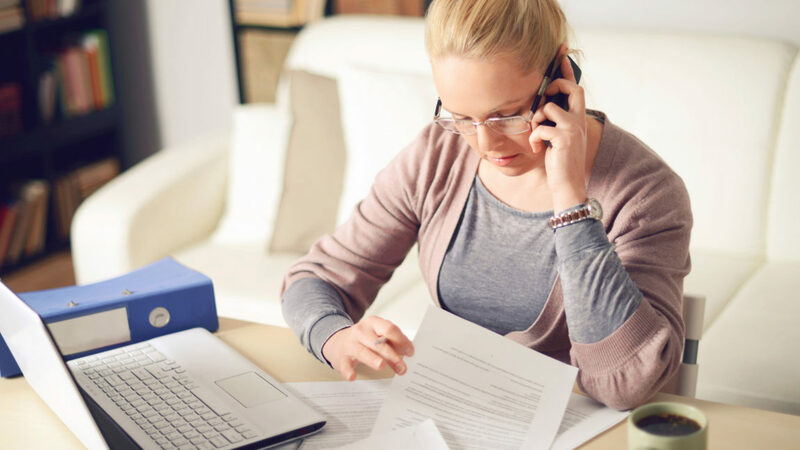 If you know that your return has what we refer to as “red flags,” you need to be extraordinarily careful to keep accurate records and receipts. We often advise clients to take a “proactive” approach with the IRS if you know you have a red flag deduction on your return. For example, if you have an unusually large charitable contribution in one particular year, you may want to attach a copy of the receipt and possibly an explanation as well. That will not prevent your return from being tagged by the DIF score, but before you are called in for an audit, a “human” examiner with the IRS will review your return and use his or her own judgment as to whether your return warrants a desk or field audit (a field audit occurs when the IRS actually visits your place of business and requests records on the premises). The risk of being audited is not spread evenly across the population as you have probably guessed. The IRS uses the same cost-benefit ratio used by businesses when considering a potential audit. Put quite simply, if you are in a low income bracket, it may not be worth the agent’s time to bring you in for an audit that will yield only a few dollars in disallowed deductions. Historically, the IRS used random sampling to pull returns for audit regardless of anything on the return. That practice, however, came under increasing attack by Congress but DIF score audits will likely remain alive and well for many years. Obviously, if having a low income decreases your chance of being audited, being a high-income taxpayer will definitely increase your risk. Being self-employed will increase it even further. The IRS is aware (as we are) that the potential tax deductions available to self-employed individuals is tremendously greater than those available to wage-earners. Statistics show that deductions for travel, auto and entertainment are at the top of the IRS’ target list. Why? Because all too many people either fail to keep the required documentation or they take deductions that have dubious business purposes (such as taking a spouse to a conference in Hawaii). Professions that deal heavily in cash transactions have also faced a greater degree of audit risk. Employees in the food service and entertainment industries are typically audited for under-reporting of tips and other cash income. What should you do if you’re called in for an audit? First of all, find your records and get them in order. The more organized and professional you appear to be, the more likely it is that your records will be taken seriously. Secondly, if we prepared your return, call us. We can sit down with you and review your return and your records in order to determine where your potential risks may lie. It may actually better to have us represent you before the IRS. We are far more likely to know where the agent is going with his or her questions and, more importantly, we will have a better understanding of when to not volunteer more information than is necessary. All too often, clients will begin speaking and volunteer much more information to the agent than was necessary to respond to the inquiries. Overall, your risk of being audited is less than 2 percent. Of course, if your return has one of the red flags we mentioned above, that risk increases dramatically. Legally, under the statute of limitations, the IRS has three years to pull your return for an audit (unless they can prove fraud). In real practice, however, since the audit process takes time, most returns are audited within one to two years after filing. If you are suffering sleepless nights worrying about a potential audit on a return you have filed, please give us a call. We should be able to either put your mind at ease, or at the very least, let you know exactly what your liability might be in the event of an audit. If your return was filed incorrectly and the likelihood of an audit is high, it may be better to file an amended return now and avoid the high penalties that could be involved with an audit.